Hiring a divorce lawyer is a stressful process. Most people who are getting divorced try to meet with three or four before they finally decide on the attorney they want to hire. And even after all that, it is still common for people to be dissatisfied with the attorney they thought was going to represent them the best. In some cases, a spouse will retain and drop three divorce attorneys during the entire divorce process. For the sake of saving yourself stress, time, AND money, understand that this is an imperative divorce-related choice you are making, and thus should be given the appropriate amount of attention. The attorney’s qualifications and relevant experience should be considered when choosing an attorney. Because of the complexity of family law and divorce process in New York, your attorney should be familiar with these areas and must have plenty of experience with regards to child custody law, guardianship, and with orders like QDRO’s. Let’s get the most obvious questions you are going to ask before hiring an attorney: What is your hourly rate, and how will I be billed? Because of the financial strains that divorce can place on spouses, it’s important to know what kind of financial toll it will have. Sometimes, you cannot always afford the attorney you really want, but sometimes they can accommodate you under certain conditions. After they have reviewed your files and have heard the facts of the case (from your side), it is important to ask how they are going to represent you or present your case. Although they may not be able to tell you how long the case will take, you want them to have a general idea of what the game plan is. If they don’t seem to have an idea of how they’ll start, that might be a warning sign that you should look elsewhere. In my opinion, the most important thing to find out when retaining a divorce attorney is to find out what area of law they specialize in because to represent you best in a family court, family and divorce law should be their specialty. Not only should you ask if they specialize in family law, ask about how long they have been practicing in this field. Additionally, how many cases they have successfully handled should give you a good idea of how much real experience they have, and how that will translate into their ability to represent you. Many spouses feel that the best way to make child support payments is through the Support Collection Unit (SCU). The SCU is a service unit run by the government that not only aids in the collection and distribution of support payments, but also keeps computerized records of said payments, which leads to fewer disputes over whether or not a payment has been made, how much was paid, and if there are outstanding balances that need to be resolved. The SCU can also assist in making sure that past due payments are paid by the supporting party, because they are a branch of the Office of Child Support Enforcement, and therefore have a certain leverage that a parent alone does not have. Just as the court is able to “influence” a non-paying spouse to make payments via punishments, the SCU has the same power. Actions such as wage cuts and other income penalties are often used in order to get non-paying spouses to shape up. Sometimes, the court does not automatically assign the payments to be made/received through the SCU. In that case, you would have to file a petition in Family Court to get a modification to the divorce judgment, which typically outlines how the child support payments will be made. Luckily, getting this change doesn’t require you to prove anything in court (unlike when you apply to have the amount changed). Moreover, when you pay through the SCU, all of it is on record, so there is never a question of whether or not you made a payment. And when you receive through the SCU, you can be assured that if there are any problems, you have a government agency to help you rectify the issues. If you need legal assistance regarding child custody and child support in New York, call 212-826-9900 to speak to an experienced family attorney. Paul E Rudder, Esq. 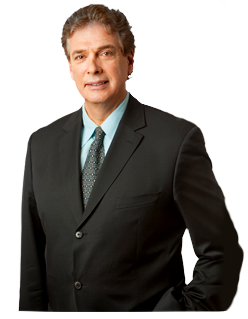 has years of experience handling all types of child support and other family issues.